"Music is even more enjoyable- Analog music is so more fun! I actually ended up dancing with my wife the whole evening after upgrading...". I received your products the other day and had a lot of fun upgrading my deck. The music now has a much more stable foundation whilst dynamic and detail is much more present. I installed all the items at once. Adjustable aluminum feet, Double pulley with silicon belts, aluminum subplatter and acrylic platter. Music is even more enjoyable - Analog music is so more fun! I actually ended up dancing with my wife the whole evening after upgrading. Thank you very much! Right now I’m using the deck without a mat as my previous wool mat seemed to muddy things up. What type of cork mat do you recommend, That is what thickness? 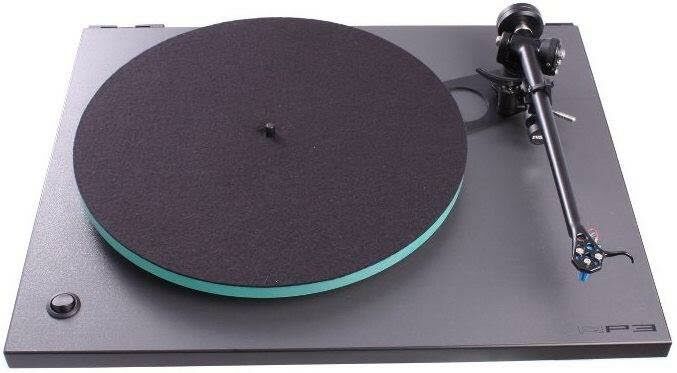 I use a rega chart and have no vta adjustment installed and plan to keep it that way. Surprised to see Peter's Red isolation platform? Yes, it's one and only one I got it done for him. Glad to know he enjoys the fun in tweaking! The isolation platform arrived last Thursday. Sorry, this is the first chance I’ve had to email you about it as my wife and I went on a short trip the next day and have only just returned. As usual, it arrived securely packed and arrived 8 days after you sent it (Malaysia to Australia). Setting up was easy. Just screwed in the metal feet , made sure it was level by using a spirit level, and just sat the turntable on top of it. I bought my Rega RP3 about 6 years ago and I thought I would post some pictures to show the journey it’s taken since. This is how it looked when I first took it out of its box. Just your stock standard RP3 in “cool grey”. As you can see, it looks nothing like it did originally, thanks to your modifications. 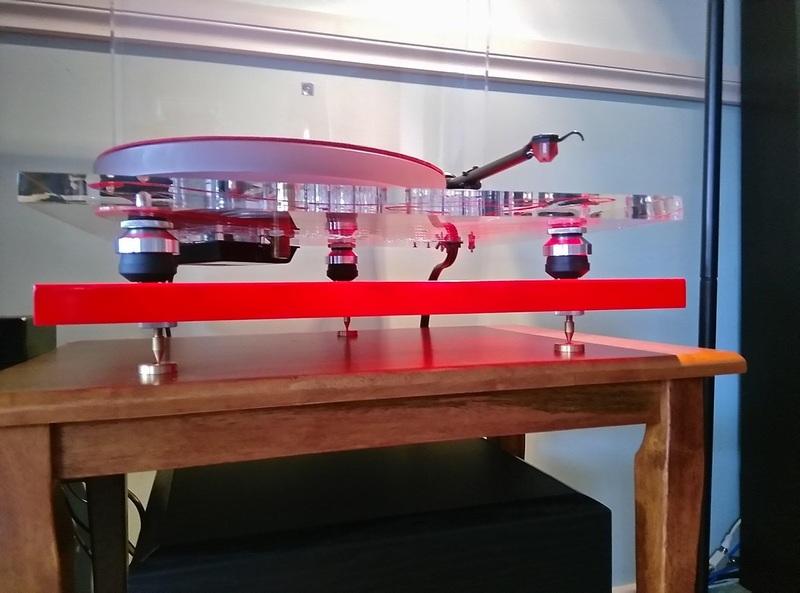 I first started noticing a difference in sound when I installed your acrylic platter, aluminium sub-platter and dual pulley about 5 years ago. 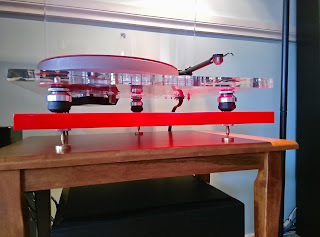 Then, last year, the clear acrylic plinth and now the isolation platform. How do I describe the sound now? Well, the base is solid without being booming and the treble is bright without being too sunny. As far as the clarity is concerned, I am hearing stuff in the background that sounds like it has been brought forward. I was playing some Nick Drake today and I could hear his fingers moving along the frets and his breathing in just before singing words. This may not be a very professional and knowledgeable way of describing how my Rega sounds now but, all I can say, is that this baby is really purring like a kitten! 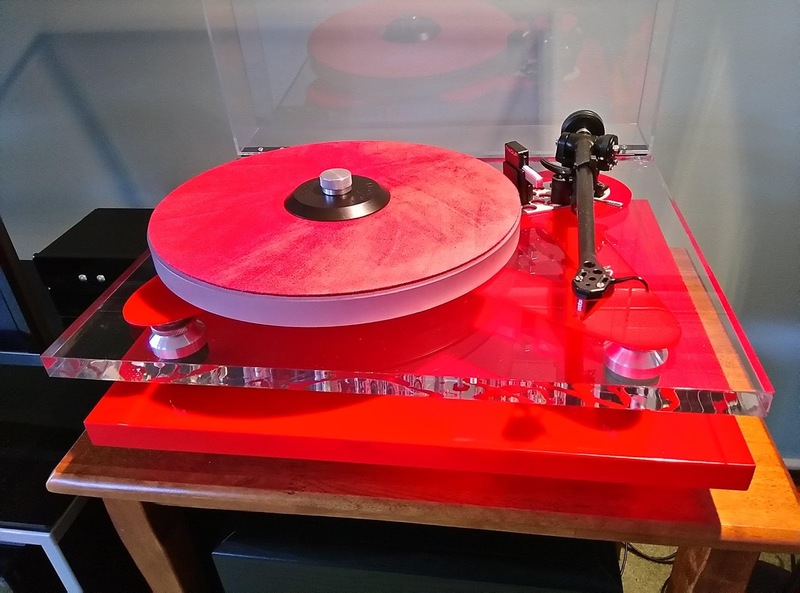 I know that, with the money spent on these modifications, I could have bought a more expensive turntable…but where’s the fun in that! Michael, thank you for not just providing all these fine modifications for us turntable enthusiasts, but also your polite and prompt assistance when we get a little lost and confused.